"OK, where did the name come from?" This is by far, the most frequently asked question when we meet new people. So, back when I was a full-time wedding photographer, it was a business that I operated out of my house. So, the whole interior of my house, at least the foyer, the living room, and the dining room, was all decorated with huge enlargements, and canvas photos of brides, wedding scenes, you name it. So, my home was basically, my studio, and my meeting area. I used to meet potential brides there. Also, in my free time, I would photograph my pets. I had rescued a number of cats, so always had a few cats around the house, and my neighbors and friends always had dogs or cats. I used to like to take my photojournalistic style of photography, and take candid photos of my pets, and my friend's pets. Well, I had captured this one photo, of a little cat that I had, named Lili. She was sitting on an antique chair, right by a window, and the side light coming in from the window, just lit her up like a Rembrandt photo. 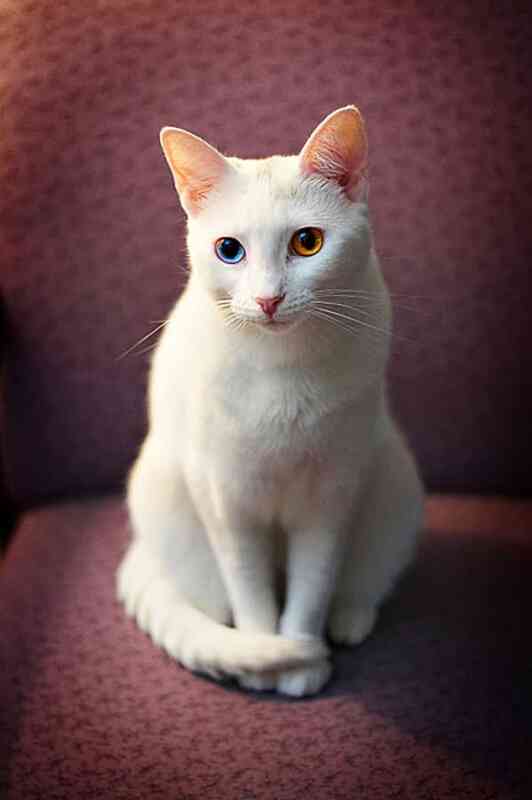 Lili was a beautiful little white cat, with heterochromia, two different color eyes. The photo just came out outstanding. So, I had this photo blown up into a two foot, by four foot canvas. It was astounding, and I put it right at the far end of my foyer, so when you came in my front door and looked straight down the foyer, the first thing you saw, was this big canvas of Lili. One day, I had an appointment with a potential bride, coming to meet me, and check out my work. I met her at the front door, and she was sweet, young lady, and had the thickest British accent. I welcomed her, she walked right in through my front door, and the first thing she saw, was that picture of Lili, right at the end of the foyer, and she said in that delightful British accent, "Oh my, what an artful pussycat!" And it just stuck, I just liked the name. That day, with no idea of what I was going to do with it, I went ahead and registered the domain, artfulpussycat.com, because the name resonated with me. Artistic, cats, creative, whimsical. It just had my name all over it. Today we have grown from a one-man operation 7+ years ago into a full-fledged agency. We stay nimble and agile as a remote based business keeping our overhead low and our rates competitive. While we are headquartered in New Port Richey, FL our team is scattered all over North America. We even have two American "Digital Nomads" who work as they travel but our primary service area stays true to the West Pasco, North Pinellas areas of New Port Richey, Trinity, Port Richey, Wesley Chapel, Elfers, Odessa, Hudson, Spring Hill, Holiday, Tarpon Springs and Palm Harbor. Our team is comprised of Programmers, Graphic Designers, Copywriters, Marketers, Project Managers, thinkers, and pretty cool people who all share a passion for what we do. We cater to local businesses whose growth is dependent on reaching as many customers in their local geographic area as possible. This requires a different skillset and mindset than businesses that target nationally. Our success is measured by the clients that have had to hire more staff, move to larger facilities, open second and third locations and buy more service vehicles due to the growth our web solutions provide. Whether it's web design, reputation management, the many facets of Local SEO, content marketing or Google Maps/ Google My Business optimization, we can custom tailor an online marketing strategy as unique as your business. Let's Roll Up Our Sleeves And Get Started On Your Custom Solution.